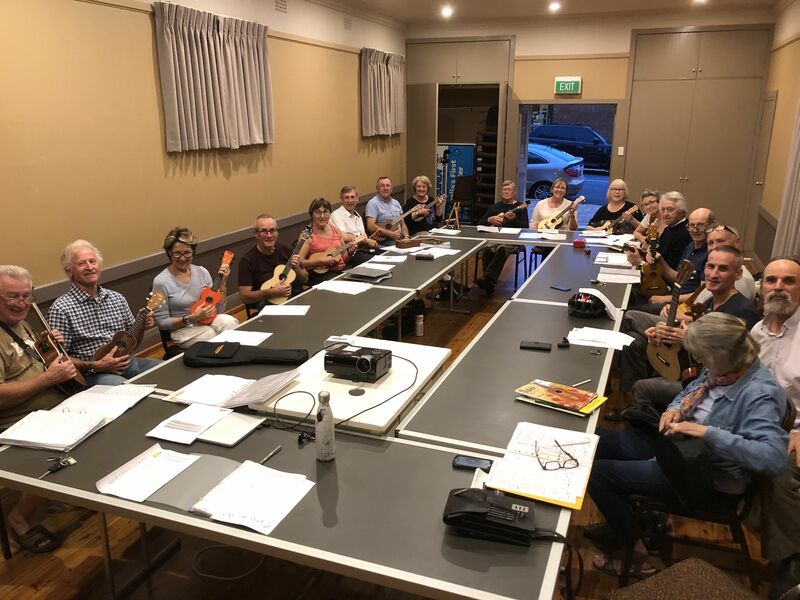 A group of people who love playing the ukulele and singing along, based in the Southern Highlands village of Bundanoon. We get together each Tuesday night at 7PM in the supper room of the Soldiers’ Memorial Hall . We are very relaxed about what we do, and the aim is to have fun first, but also try to make beautiful music. Beginners are very welcome. Everyone and anyone is welcome to pop in and see what we do. For those wanting to give it a go we have a few trial ukuleles so there’s no excuses! We are planning a concert for September 2019!